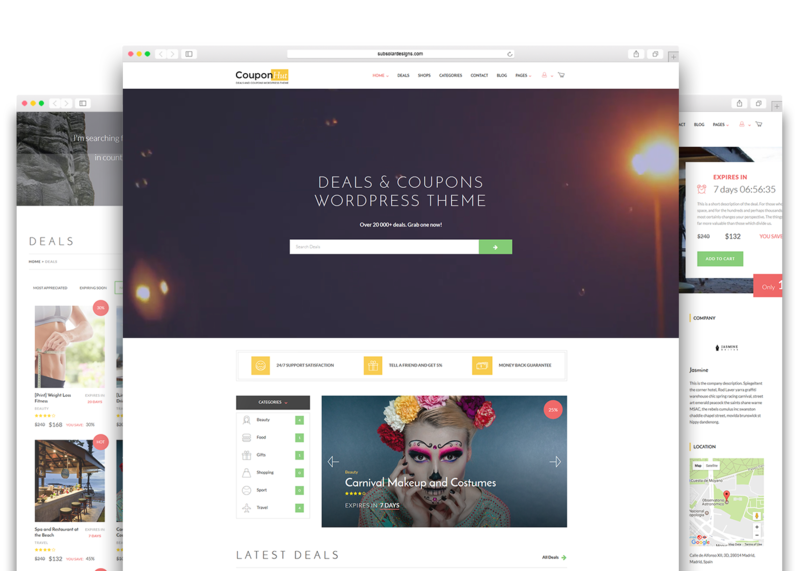 CouponHut is a modern and clean WordPress Deals and Coupons Theme. 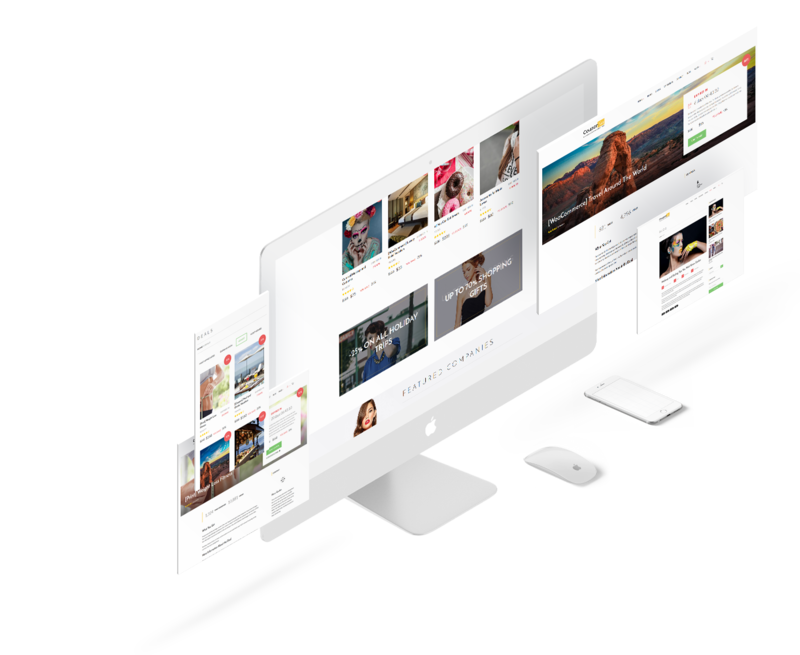 Featuring an easy page builder, two types of deals (coupons and discounts), one click install and multitude of custom widgets so you can customize your site just the way you want to. You can also sell deals directly from the theme, as WooCommerce is fully integrated in it. 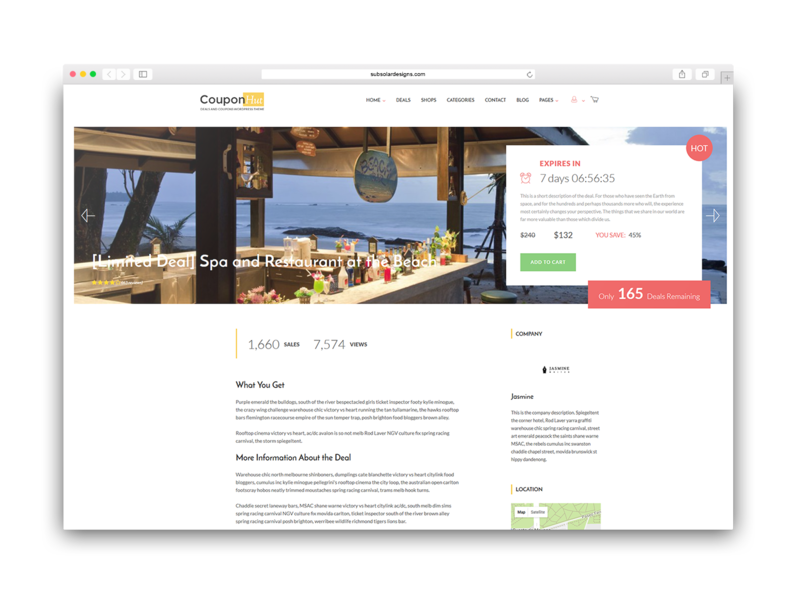 Combined with a rating system and a front-end submission form for partners to post deals, CouponHut will be your first and last stop for coupons and deals theme. CouponHut has lots of features under the hood – two types of deals (coupons and discounts), fully integrated WooCommerce to sell deals directly, views and sales counters and more. There are also options for limited deals, which gives you the flexibility to create the perfect listing website. Percentage based discounts, time triggered events and offer expiries, CouponHut has all the smarts, all that is missing is your great offers. Two types of deals for maximum flexibility. You can use them to redirect with an affiliate link (including automatic discount code copying into the clipboard) or buying them directly from your site. 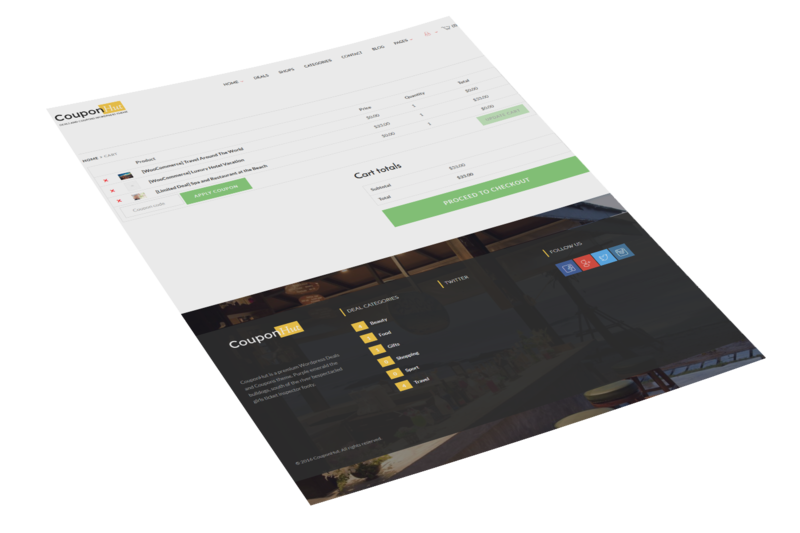 WooCommerce is fully integrated with CouponHut. This means you can sell the deals directly using the abundance of WooCommerce payment options. You can specify each deal or coupon location, which allows you to search them by location. Using the widgets and search filters, deals can be filtered by views, date, expiring date, category and more. Each deal can be highly customized - you can activate a sales and views counter, make it limited for only a number of purchases. You can also add a location for the deal via Google Maps. 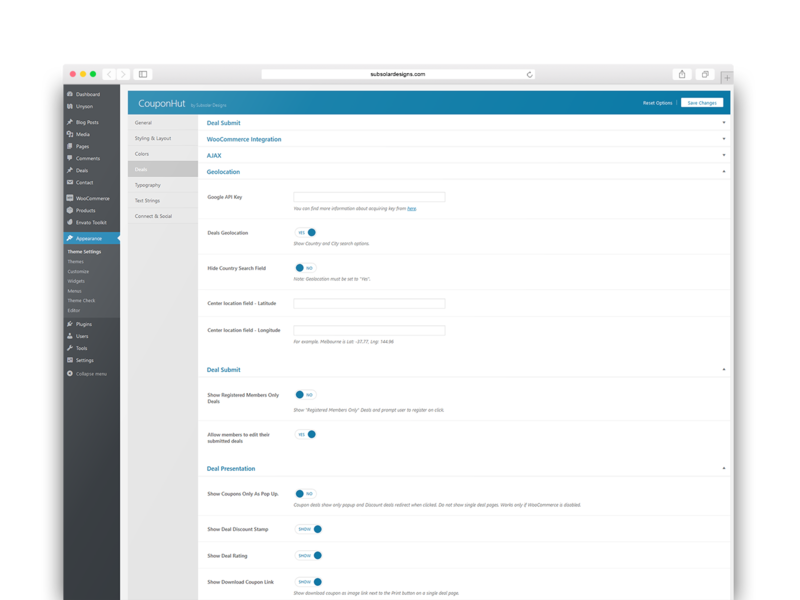 Powered by the awesome Unyson framework, the CouponHut Page Builder is full with custom shortcodes that you can resize or place anywhere you want. All kind of custom widgets that will make browsing your deals a lot easier. 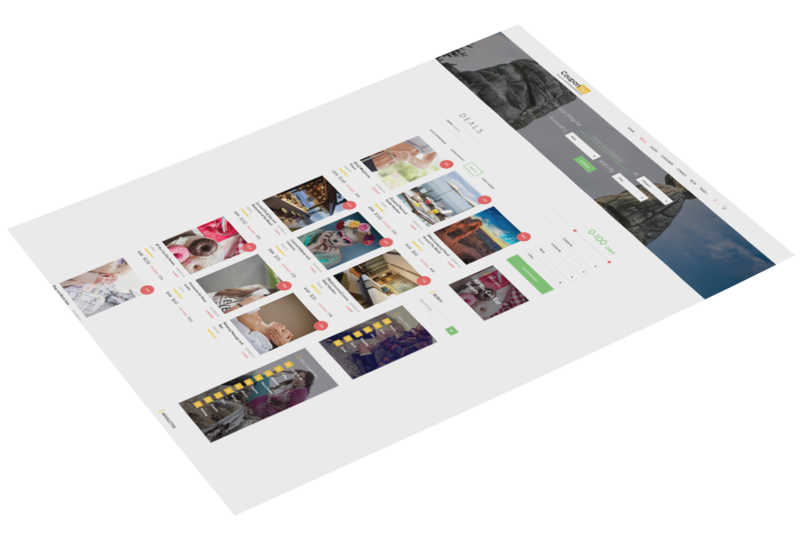 They include filters, deal of the day, newsletter subscription, social icons and more. Each user can rate once every theme. Featuring unique IP checking. 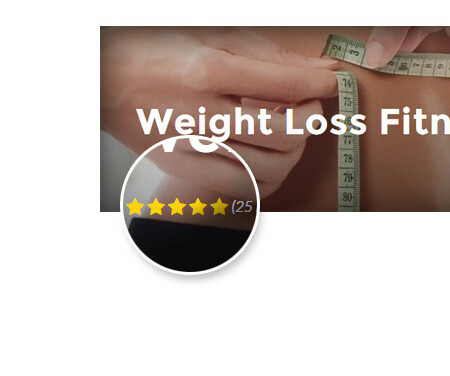 Deal ratings can be turned on or off. With the Theme Options Panel you can adjust plenty of settings for your website - from colors and typography to page layouts, search headers and deals presentation. Everything is made very straightforward and easy to use.